Before you laugh at me for dressing my dogs up you have to understand that small dog breeds, especially Chihuahuas are so short and close to the ground that not only does the cool pavement affect them quickly but it's breezier when you are closer to the ground. Also this is a breed that originates in Mexico where it's warm. 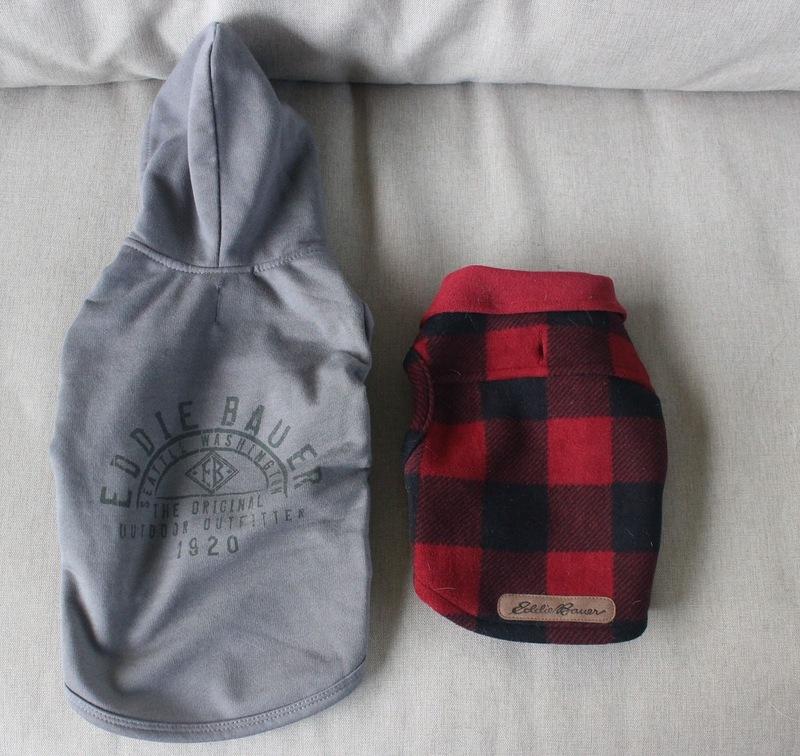 So no wonder my dogs get chilly. 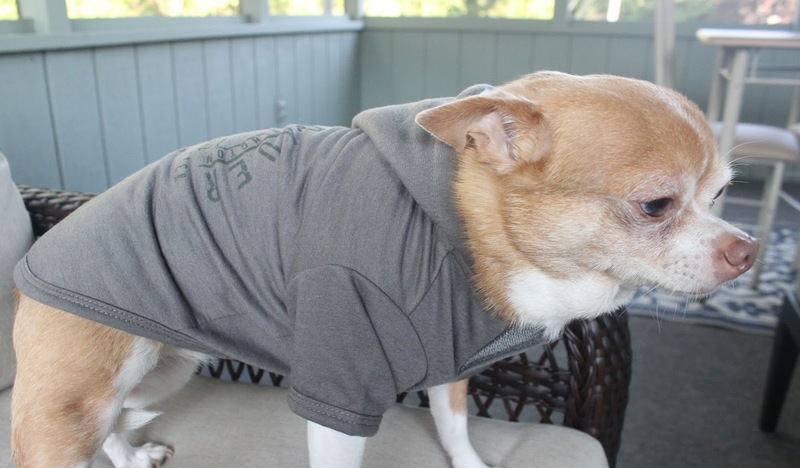 But have no fear - Boscov's Fall Pet Apparel line is (almost) here. 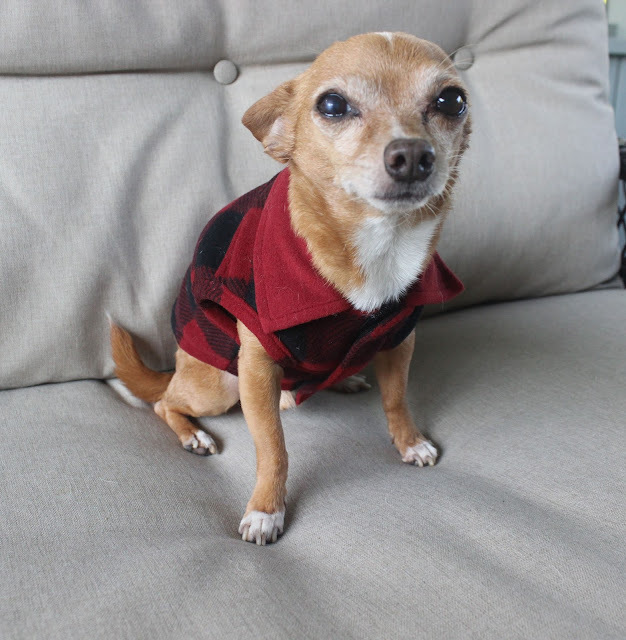 How adorable is this Eddie Bauer plaid jacket?! The Eddie Bauer Apparel line will be arriving in October at Boscov's and has 4 styles in small to large sizes. It's easy to get this on and off and I love the Velcro. And yes, cats technically can wear this. 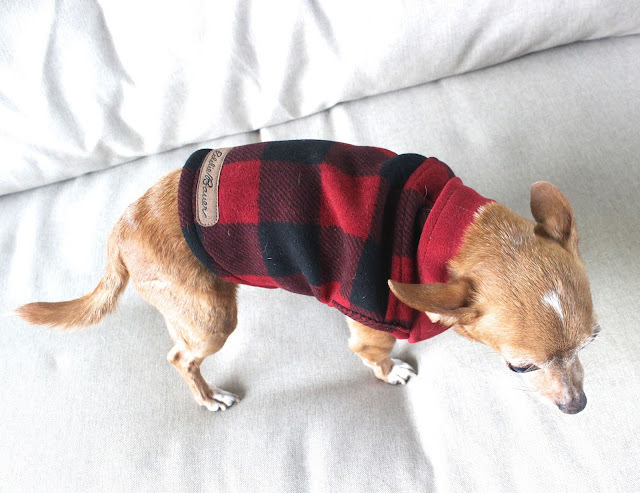 This is an easy little item to slip on Rocky so he can go out in the morning without shivering. It's easier for him to relax and do his business so we don't end up having any accidents inside. 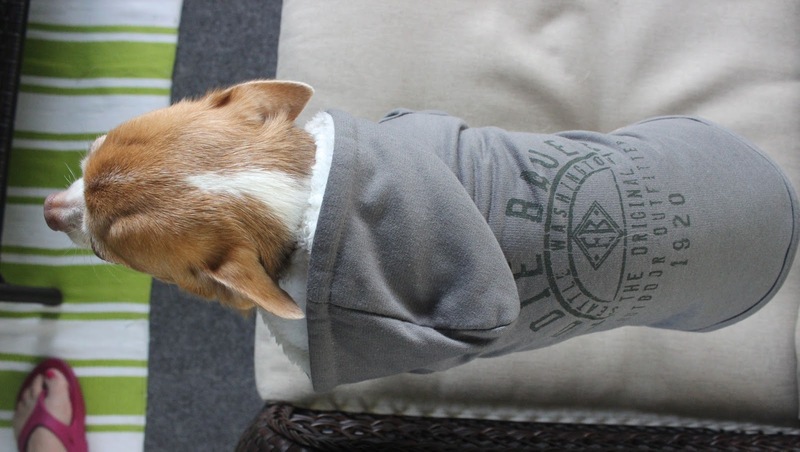 Next on the runway is Grace in her Eddie Bauer Hoodie! It has a faux fur lined hood which is great in the wind! It's super easy to slip on and off and it's nice and lightweight in the body so it doesn't add too much extra bulk. The fit is so true to size! This is a medium. And don't forget about toys. Fall weather gets chillier so dogs get cooped up in the house all too often and they get bored which means they can get into trouble. That's why I love toys that also keep your dog occupied mentally by stimulating their brain. 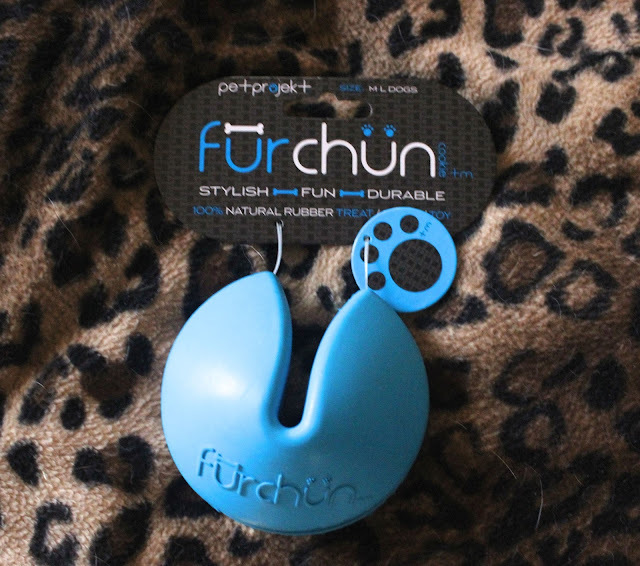 The Furchun Treat Toy arrives in Boscov's in September and is a rubber toy that has a special section to hide treats in. You can even put peanut butter inside. It keeps my babies distracted and busy for hours on end even if there is company over. I'm also going to use this on Trick Or Treat night to occupy Grace since she gets nervous when there are lots of strangers at the door. Be sure you check out Boscov's this Fall! 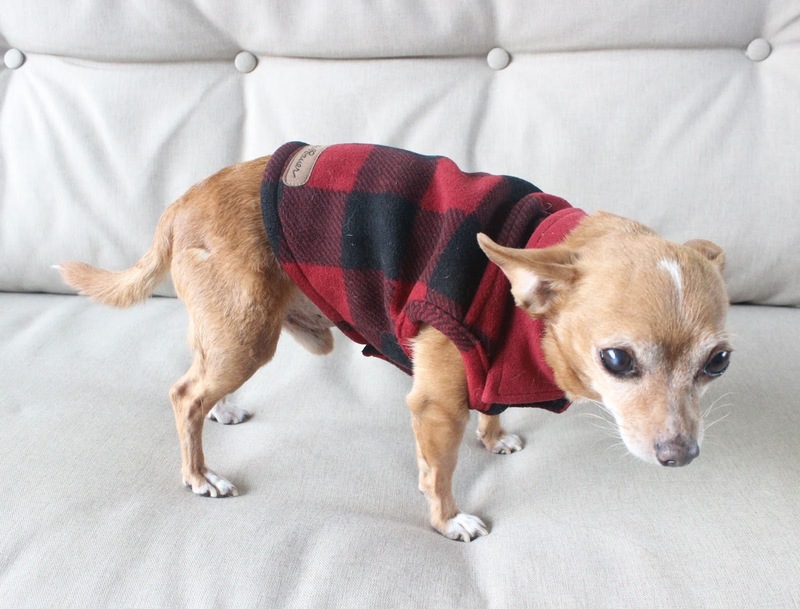 The jacket looks similar to the one Tigger has from Petco but it is lined with fleece and has a fleece collar. So cute. I'm hoping Boscovs will have large enough sizes for my dogs but sadly, I wouldn't be surprised if they didn't. Lots of people laugh that I dress the Bulldogs up but they love it and they actually get cold- or it could also be because they are so overly dramatic. My mom and step sister's Bulldogs dress up too. glad im not alone, haha! Grace look like get this thing off of me. she was like "really mom?!" I hope you are enjoying every inch of summer. they are so close to the ground no wonder they get chilly! They are so cute in their jackets, I love your facts about how the cold affects them. I never would have known. Thanks for stopping by my blog and leaving a comment recently. I appreciate it! :) yay so glad u stopped by mine! i know lol isnt it!? haha! omg this is too awesome! I love it! Aren't they the sweetest ever? I am so happy to see another doggie lover. They looks darling in their jackets. What a cute dog! 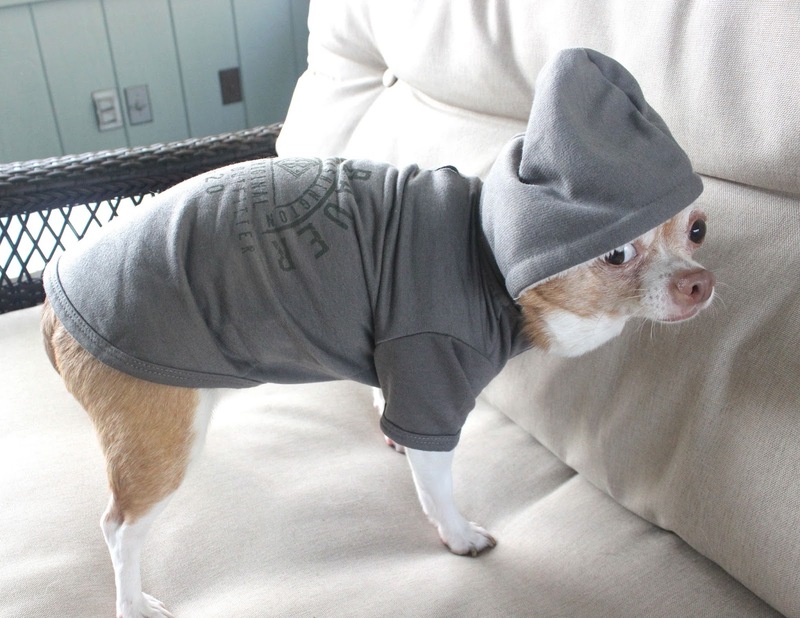 Looks stylin' in that hoodie.